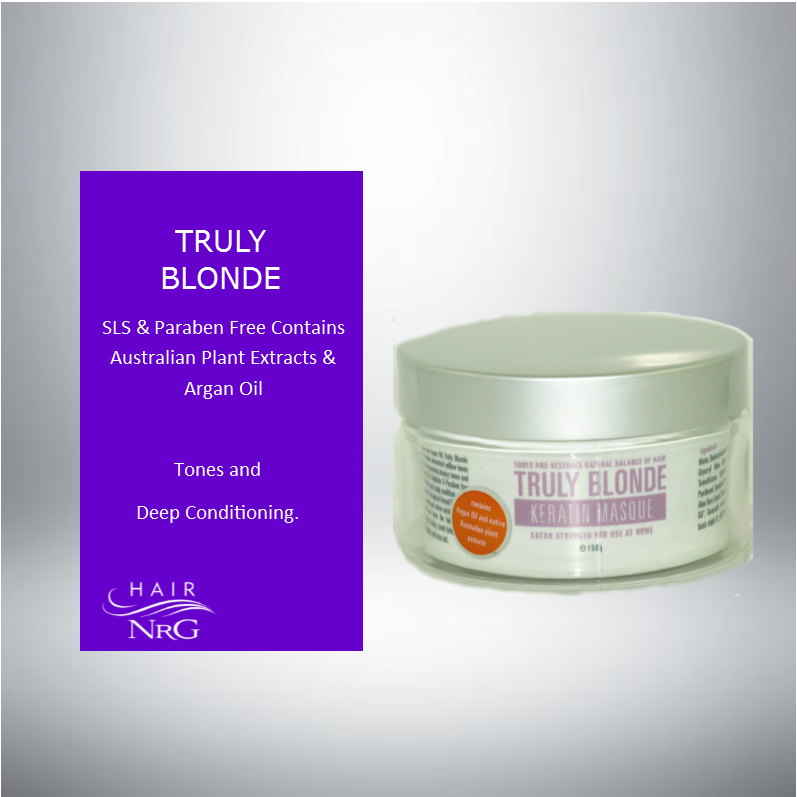 Truly Blonde Deep Treatment Masque. 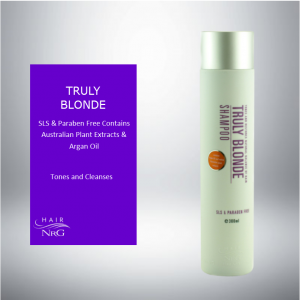 Tones and restores the natural balance of hair. 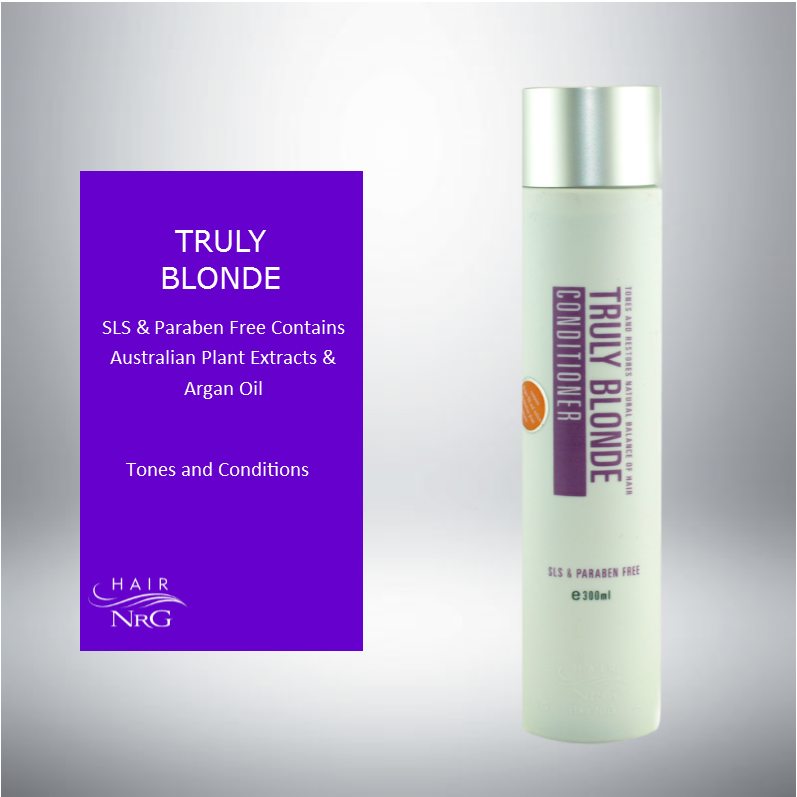 Using Australian native plant extracts and Argan Oil Truly Blonde Masque is specifically formulated to remove unwanted yellow tones from grey bleached and highlighted hair preventing brassy tones and protection from the sun and pollution. The Sulphate & Paraben free formulation ensures healthy and lustrous hair and scalp condition, whilst the Argan Oil locks in intense moisture, the Apricot Kernel Oil extract and Aloe Vera rich in vitamin C and minerals and amino acids return the hair to the appropriate pH level leaving the hair soft yet manageable.